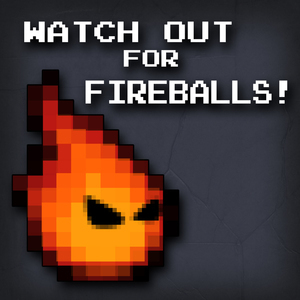 Watch Out for Fireballs! - Blog - PRGE 2017 Live Show: WarioWare! PRGE 2017 Live Show: WarioWare! We're happy to announce that we will be returning to the Portland Retro Gaming Expo this year! We will have a booth on the floor, and we will also do a live podcast about the WarioWare series of games. The time and date of the live show has yet to be determined, so watch this space. Also, watch this space for details about our meetup. The expo takes place from October 20 to the 22nd, and we will be on the floor on Saturday and Sunday. You can buy your tickets at the PRGE website. This is always one of the highlights of our year, and we'd love to see you there.